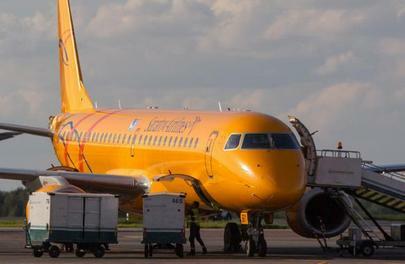 Russian Federal Air Transport Agency has lifted all restrictions on Saratov Airlines’ international operations, according to an act signed on April 29. According to the document, the airline had passed an unscheduled inspection. The carrier has resumed negotiations with travel agencies regarding flights to Greece and Bulgaria. The restrictions were valid for a period of 180 days after a safety violation that led to the international approval suspension. Last summer, Saratov pilots allowed a non-crew member to flight deck during a flight. After the regulators pointed out the violation, the carrier “did not take appropriate measures,” according to FATA. As a result of the incident, the company’s general director, Igor Tretyakov, lost his position and was replaced by Andrey Abramov, and later by Alexey Vakhromeyev, the airlines’ Embraer squadron commander. Saratov Airlines is Russia’s only operator of E190s. For 10 months of last year (before the approval was suspended), the airline carried 71,100 passengers on international routes, which accounted for 13.5% of the carrier’s total 2015 traffic.